I assumed that I knew what I was doing this time round. I’ve doen it all before. I’ll just follow my instincts and watch you grow in the same way. I know the routine now, so it’ll all run smoothly. 2nd time round is always easier. How wrong I was! I couldn’t bring you up in the same way as your big brother at all, because you are your own individual being, with your own needs and quirks and eccentricities. You demanded your own routine and brought a brand new set of challnges. I had to raise you in a completely different way! You were so much more hard work than your brother, bringing so much stress, confusion, panic, fear, and, I know I shouldn’t admit this, but, you were always going to be compared to him (even by me) and I so hoped you wouldn’t come out all messed-up and covered in poo. You will be happy to hear that I do not have a single regret. Yes it was difficult, and I had a whole new bunch of lessons to learn, but it was definitely worth it. I am so proud of you! And now I have to watch you fly the nest, taking on the big wide world all by yourself. I’d be lying if I said I wasn’t scared for you. And I’d be lying if I said it was going to be easy, that everyone will like you, that they wont tell you in what ways your big brother is superior to you, and what your flawes are. But hopefully they will also see that you are your own self, that you have different qualities to your brother, things that he never had. You will find your way, make your own firends, and become whoever it is you are going to be. It is out of my hands now. I will check in on you from time to time, see how things are going, try to point you in the right direction. In the meantime you will be happy to hear that you have a baby brother on the way (and all the new challenges he will bring!). And maybe even some cousins! Goodbye book two. Take care. I will never forget you. 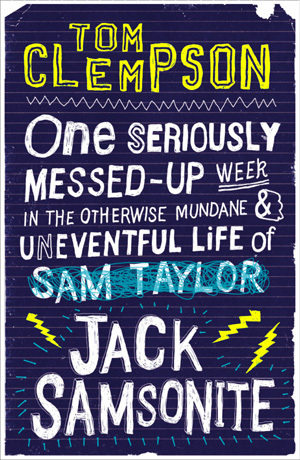 Jack Sampsonite is one of the best books for people my age, and so it’s brother is destined to be brilliant. SOOO much pressure! Thank you Nathan. You well and truly rock! I have a spoiler but it might be too much to handle. Are you ready for the last line if the last page…? That was too funny! 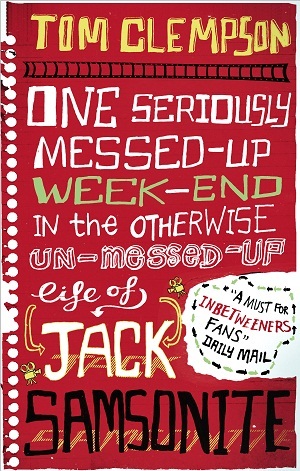 But I am sure Book 2 will be just as awesome as – if not more – than Book 1! I am sooo looking forward to it!